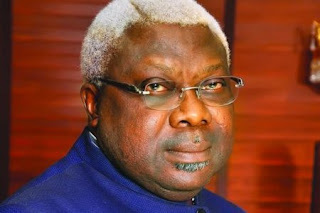 Candidate of the Social Democratic Party (SDP) in the Osun gubernatorial election, Iyiola Omisore, revealed on Monday that the ruling All Progressives Congress (APC) has begged for his support to help its candidate, Isiaka Oyetola, win the governorship seat. Omisore made the revelation after receiving Senate President, Dr Bukola Saraki, who paid the governorship aspirant a visit in Ile-Ife. Saraki had alongside some stalwarts of the PDP visited the SDP governorship aspirant in a bid to get him to support the opposition party’s candidate in the September 27 rerun election fixed by Independent National Electoral Election (INEC). Asked on Omisore’s reaction to his request, Saraki said “the meeting was highly successful and promising. That is why you see us laughing together after the meeting. I can assure you that the meeting was promising and it will help Osun State. “It was a promising meeting for Osun State and we do hope that the outcome of the meeting will help democracy and help Osun State,” said the Senate President. INEC had declared a rerun in the Osun election after PDP’s candidate, Senator Ademola Adeleke, polled 254, 698 against APC’s candidate who scored 254, 345 votes. The electoral body said the difference of 353 between the leading aspirants was less than the total of 3, 498 that was cancelled in about seven polling units in the election.